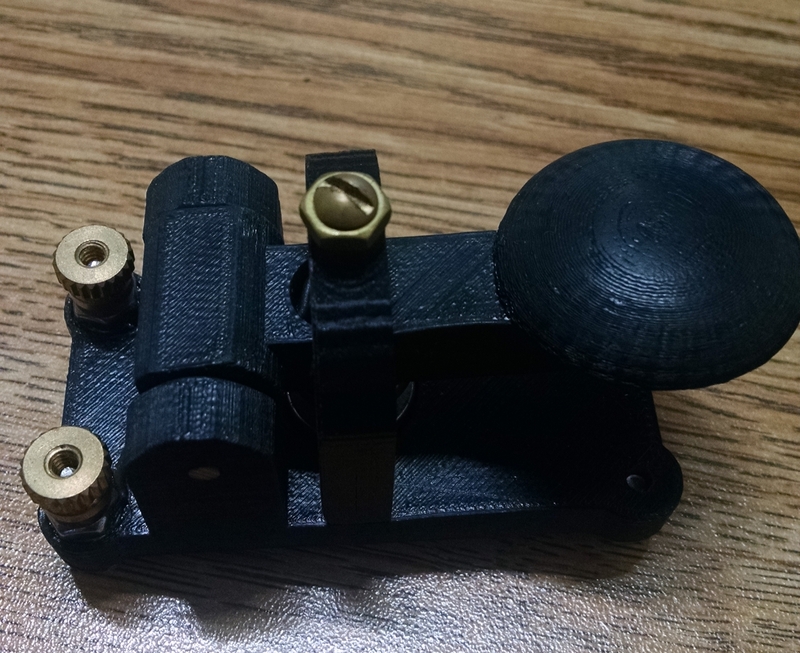 Some one asked me to share the files for my 3D printed telegraph key. So I am going to do that. Here is a link to the STL file for the key parts. 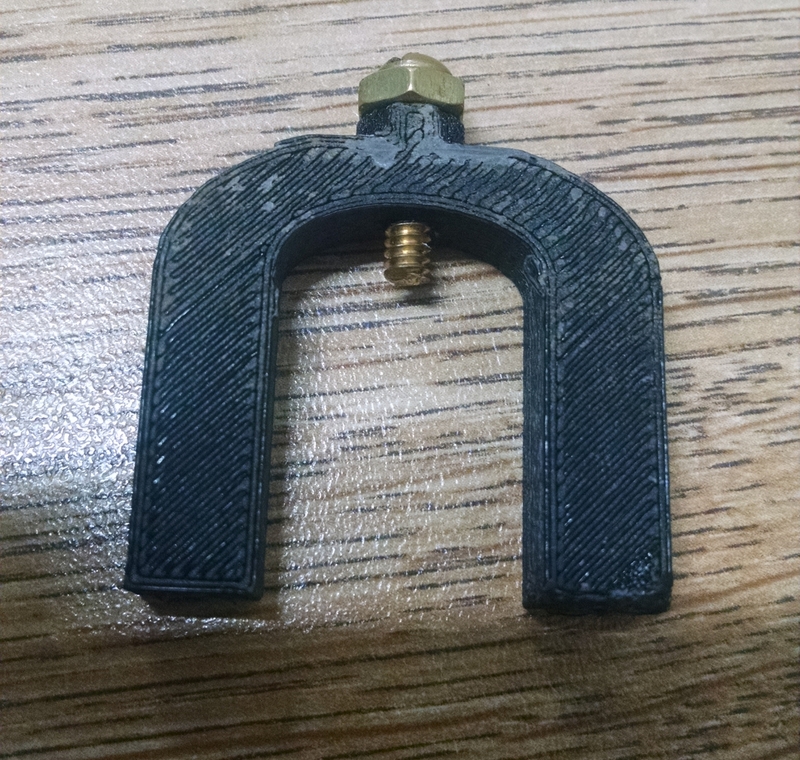 There are 3 files that print the base, key and upper bracket separately. All of the holes are included but they are undersized. Some you will drill larger and others are tapped. There is a horizontal hole in the key to run a wire back from the top key contact and the same is true for the base. I printed at 100% fill using ABS. HIPS would work well also. 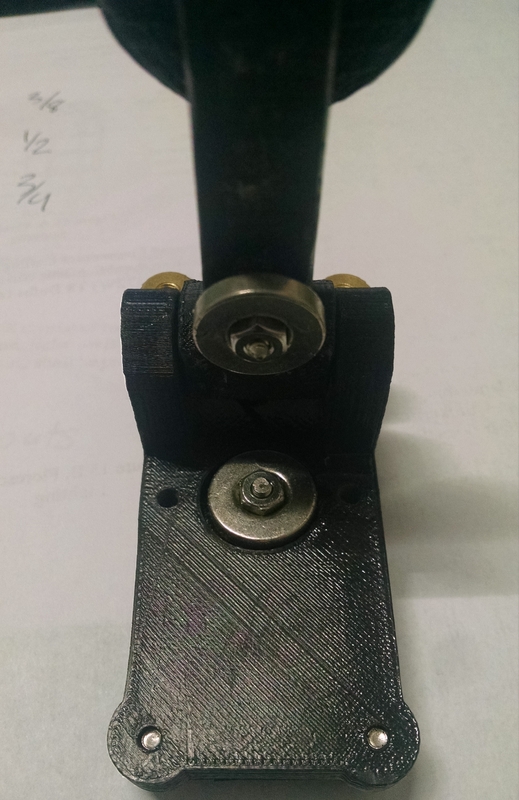 The magnetic damping instead of a spring works really well. 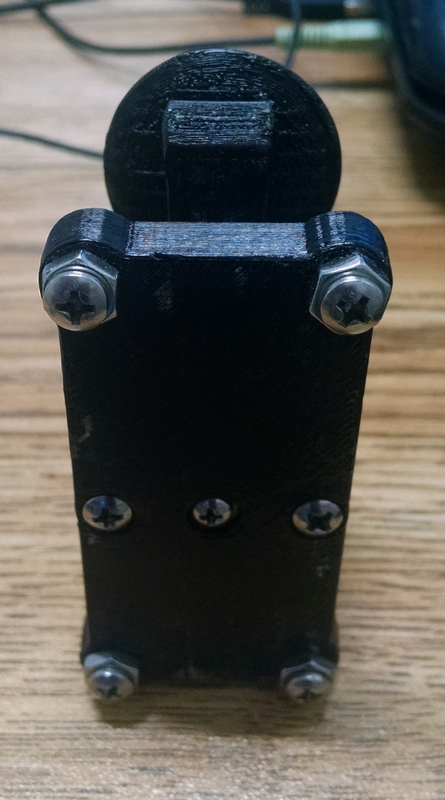 The 4-40 contact screws need to be filed flat after being nipped to size. This is my new hybrid guitar tube amp which utilizes a solid-state input stage, DSP reverb, and solid-state phase splitter. Only the push pull, class AB output stage utilizes tubes, namely two EL84’s run at 390 volts with cathode bias. The bias uses two 15 volt zeners which creates a bias current of about 26mA. This requires almost 30 volts of swing on the grids to drive the amp to saturation. This is accomplished with a little switch mode boost converter that generates 29 volts to drive the phase splitter opamps. All of the solid-state circuitry runs off the AC filament supply for the tubes. 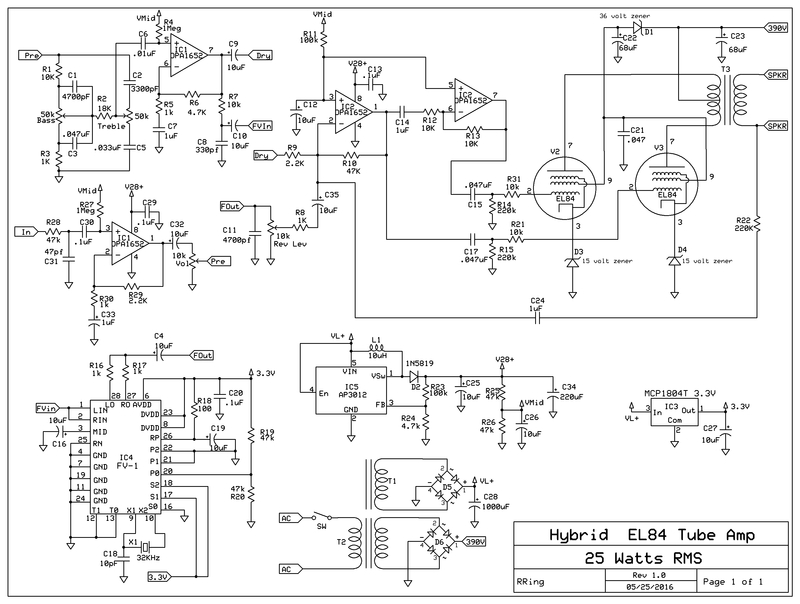 The solid state portion is basically my stomp amp design( also on this blog) minus the final power amp, which is replaced with the phase splitter. 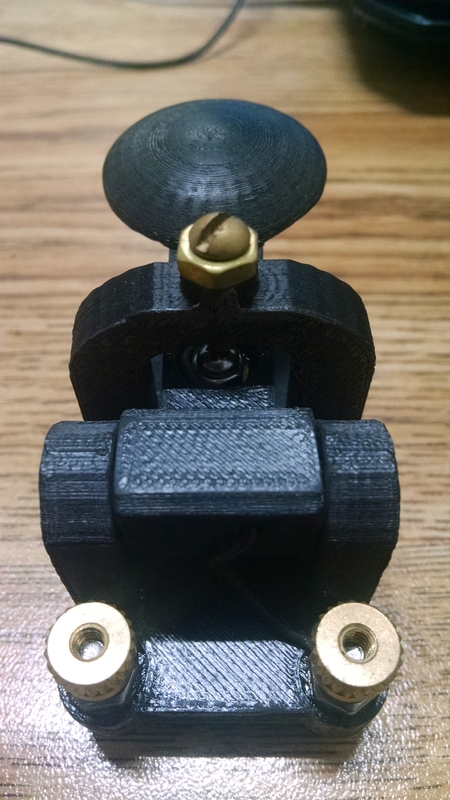 A couple notes about the design: Using zeners works great, but they can fail(haven’t had a problem yet) and typically they fail by shorting(very bad for the tubes! )..so it may be prudent to parallel with 1k ohm resistors and .1 uF caps to make them more tolerate of current or voltage spikes. I use 5 watt zeners and have yet to have one blow on me with numerous amp designs. Also the gain distribution is not ideal. This is because of the low headroom of the FV-1 reverb IC which runs at 3.3v. This requires that there be lower gain in the first two stages than is possible – degrading noise figure somewhat. Despite this, the amp is very quiet – even with noisy un-bypassed zeners in the final bias circuit.